When anti-virus software pioneer John McAfee was arrested for entering Guatemala illegally, it ended a strange escapade in a life that has been filled with unconventional choices, unexpected turns and even the odd disguise. When anti-virus software pioneer John McAfee was arrested for entering Guatemala illegally on Dec. 5, it ended a strange escapade in an eccentric life that has been filled with unexpected turns and even the odd disguise. Recently, that life also featured armed guards, noisy dogs, a lot of young women and a suggestion from Belize's prime minister that McAfee may be "bonkers." In Belize, McAfee is a person of interest in the case of the death of a neighbour. He recently fled the country and secretly crossed the border into Guatemala. In addition to hitting the highs and lows of Silicon Valley fame, the 67-year-old has operated a yoga retreat and flown motorized ultralight airplanes from a complex he built in New Mexico, the New York Times reported. Throughout his life, however, the Times says there has been one constant: "a genius for self-promotion." Even while he was a fugitive on the run, McAfee posted regularly on his blog, and has even blogged from jail. "Everyone here is nice," he wrote in a posting on Dec. 6. "And sympathetic. So far, my experience on the inside of this establishment has worn away a bit of my natural cynicism and added a measure of hope for humanity." 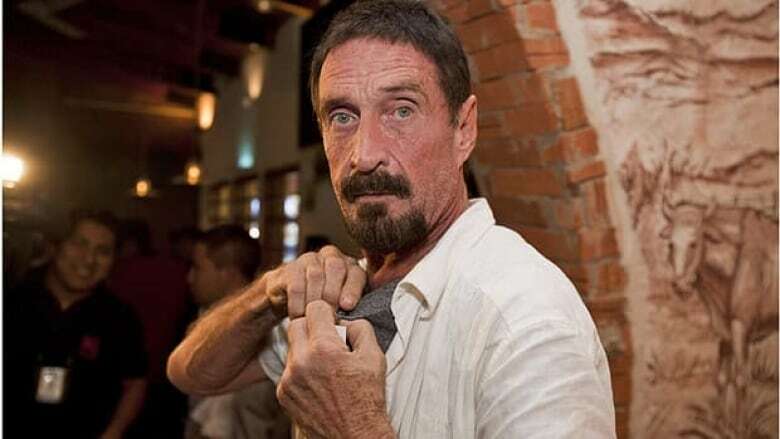 According to online biographies, McAfee was born in England in 1945. He grew up in Virginia, and graduated in 1967 with a bachelor's degree in mathematics from Roanoke College. McAfee's early career saw him work for firms ranging from Univac and Xerox to Computer Sciences Corporation and Lockheed. Jobs ranged from programmer to software designer or consultant, online biographies say. McAfee founded the anti-virus software company that bears his name in 1987. Two years later, he quit Lockheed and turned his attentions full time to McAfee Associates, which operated out of Santa Clara, Calif.
"He was hailed as one of a new generation of tech pioneers after he hit on the novel idea of giving away his software, recouping the money by charging companies a licensing fee," the BBC reported. As with many high-tech ventures, though, success didn't last forever. "In early 1992 he declared on U.S. television that a computer virus called Michelangelo was about to cause havoc on PCs around the world," the BBC reported. "His software became a market leader almost overnight. But his doom-laden prophecies proved unfounded and he was ultimately forced out of the company." Despite his departure, the company had made him a rich man. But like his lofty Silicon Valley perch, the fortune didn't stay with him entirely, either. McAfee told The New York Times in 2009 that he had lost all but $4 million of his $100 million fortune in the U.S. financial crisis. However, a story on the Gizmodo website quoted him as calling that claim "not very accurate at all." After leaving the software world, McAfee turned his attentions in less technical directions, operating a yoga retreat and trying his hand at a motorized ultralight airplane business in New Mexico. 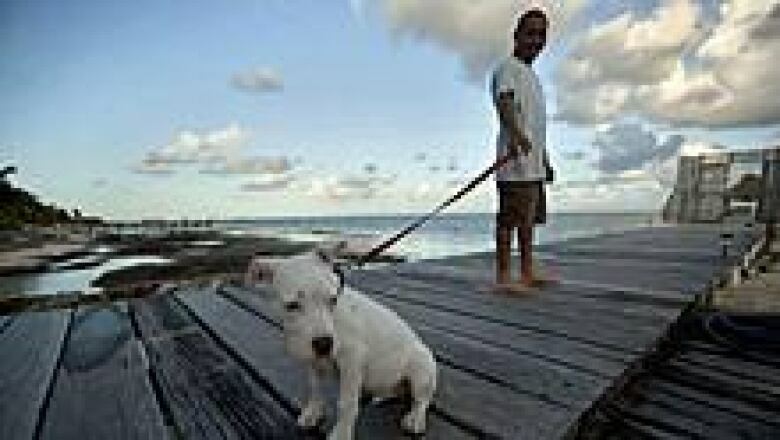 He eventually sold the business and moved to Belize after the 2008 financial crisis. In Belize, McAfee's eccentric interests continued, and he dabbled in odd projects, included one that tried to synthesize antibiotics from jungle plants, the BBC reported. His activities also caught the eye of local authorities, and he became a "person of interest" in the November slaying of a fellow American ex-pat who lived close to him. McAfee is wanted for questioning in connection with the killing of Gregory Viant Faull, who was shot to death on the Belize island where the men lived. Faull's home was a couple of houses down from the compound where McAfee kept several noisy dogs, armed guards and entertained a steady stream of young women brought in from the mainland. McAfee acknowledges that his dogs were bothersome and that Faull had complained about them, but denied killing Faull. Several of the dogs were poisoned shortly before Faull's killing. Questions have also risen about McAfee's state of mind. Belize Prime Minister Dean Barrow has expressed doubts about McAfee's mental state, saying, "I don't want to be unkind to the gentleman, but I believe he is extremely paranoid, even bonkers."